The former Governor of Lagos and All Progressives Congress (APC) National Leader it was who used his sagacity and wit to ensure the occurrence of one of the greatest upsets in Nigerian politics where an incumbent President was upstaged by the opposition candidate, Muhammadu Buhari. It was for this rare feat and more that the Eko Hotel and Suites in Victoria Island, Lagos was filled with A-List guests including Vice President, Prof.YemiOsinbajo and Africa’s richest man, Alhaji Aliko Dangote when he celebrated his 65th birthday. Not one to opt for the ordinary, the main event of his birthday was marked in extraordinary fashion with the 9th Asiwaju Bola Ahmed Tinubu Colloquium with the theme, “Make it in Nigeria: Use what we make, make what we use”. Indeed no politician has faced greater existential challenges or perfected the technique of quiet adjustment to shifting realities with greater skill like AsiwajuTinubu, little wonder that everyone including Dangote now fondly refer to him as Jagaban of the World. The Colloquium recognising the need to engage the youths and prepare for generation next, began with a Youth Segment-and the speakers and panelist gave very good accounts of themselves. In his address, AsiwajuTinubu said it was time that Nigeria changed its economic model as it was obvious that the old model, where the country relied solely on revenue from crude oil export, had crashed. He said it was good that the President Muhammadu Buhari’s government had realised this and had begun the painful process of salvaging the nation’s economy by embarking on diversification. He, however, advised the Federal Government to team up with Private Sector Players in its quest to diversify the economy. He added that the country must borrow a leaf from the experiences of countries such as England, America and China, which had today become self-reliant by taking tough decisions. “We must learn from England, which barred the migration of its master craftsmen and the export of textile looms at the dawn of the Industrial Revolution; to America and high tariffs it imposed on foreign manufactured goods for over 150 years from its independence until after the second World War; to China which implemented a most radical and comprehensive protectionist regime to become the world’s most prolific manufacturing nation”, Tinubu said. He said, like England, America and China, Nigeria too must decide what its economic strength should be and focus on same. “Whether we decide to focus our attention on steel, textiles, cars, machinery components, or other items, the truth is that we must focus on manufacturing important, useful things”, Tinubu said. Tinubu also used the occasion to appreciate the Vice-President, Prof.YemiOsinbajo, for his exemplary values. Tinubu stated, “For a moment, may I dispense with the formality of titles and protocol. Osinbajo is many good things. Today, may I simply call him my friend and brother. I must applaud President Muhammadu Buhari. He meticulously followed our constitution by temporarily transferring the helm to the VP. As such, the two excellent men exemplified teamwork and true meaning of unity of purpose. In his goodwill message, President Muhammadu Buhari, who was represented by Minister of Interior, Lt. Gen. Abdulrahman Dambazau (retd. ), said the theme of the colloquium was relevant to the country’s current realities. Buhari noted that the country ran into trouble due to over-reliance on imported products, which he alleged the past government did nothing to address. He said his administration was serious about facilitating local industries to make what the country needed, adding that only products that were strategic to the country’s development plan would be imported. Also speaking, Minister of Finance, Mrs. Kemi Adeosun, admitted that the economic model that the Federal Government adopted was borrowed from the templatecreated by Tinubu in Lagos State which was being built upon by his successors. Billionaire businessman, Alhaji Aliko Dangote, revealed that his cement factory had attained the capacity to export seven million tonnes of cement, adding that US was one of his company’s export targets. He thanked Tinubu for facilitating his company’s acquisition of 208 hectares of land in Lekki, for the Dangote Refinery which, he noted, was six times the size of the entire Victoria Island, adding that his refinery would turn out 650 barrels of refined oil per day, which would be consumed by both Nigeria and 15 states of the Economic Community of West African States. Dangote said the nation’s population, projected to hit 210 million in 2020, must be seen by all as a blessing. In his speech, Lagos State Governor, Mr Akinwunmi Ambode described the celebrant as a great Nigerian political product and a successful leader who not only mentored many leaders in the country but laid the solid foundation for the sustained progress of the State. Ambode likened Tinubu to a coconut blessed with divine task to be fruitful and useful to humanity, versatile, courageous, which could bear fruit for a long time. “Like the coconut, some by-products/fruits will get bad along the way or after being sold in the market; in actual fact, the political product may not be the favourite of some other people. “The bottom line, however, is simple. If Asiwaju Bola Ahmed Tinubu, were a coconut; I dare say, with all simplicity, I would be among the forefront liners that will eat, drink and sleep B.A.T. 24/7,” Ambode said. While alluding to Tinubu’s contribution to the growth of the State, Governor Ambode said: “There is no doubt the Asiwaju political dynasty is a made in Nigeria product. The foundation laid and blueprints developed during his tenure as Governor of Lagos State which cuts across all sections of the State’s economy have actually simplified the process of governance till date. It was an intellectually stimulating session that was enjoyed by all. As expected for a man of his stature, there were many other birthday events, but one that was exceptional was the super exclusive Birthday Dinner hosted by Lagos State Governor, Mr Akinwunmi at the Lagos House, Alausa. It was an evening to relax and enjoy good quality food, drinks and music-everyone, including the birthday boy had a great time. There were a couple of speeches as expected by his admirers but the quality of guests especially top politicians from the North and the East was a testament to the clout of AsiwajuTinubu. 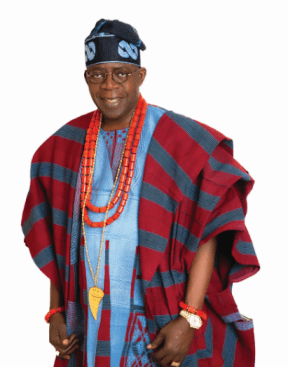 A very emotional AsiwajuTinubu told OVATION that he was thankful to God for keeping him alive and healthy. He also had wonderful words for all those who contributed to the success of his birthday.